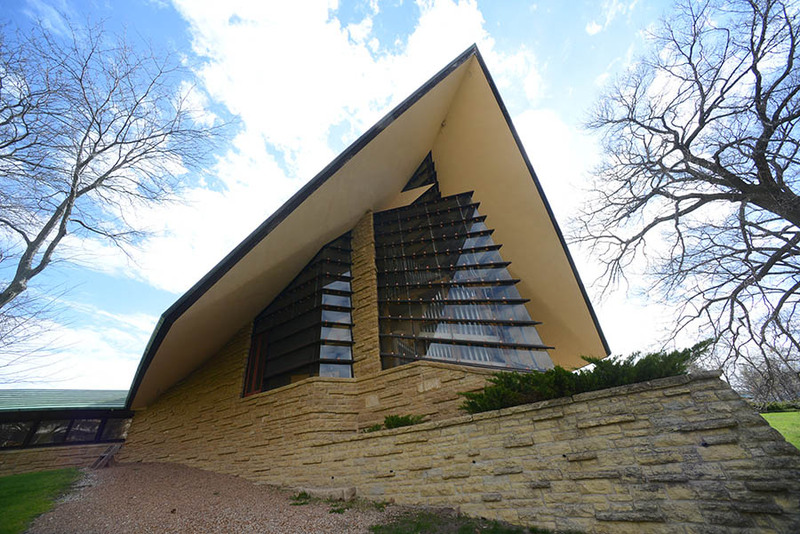 The First Unitarian Society of Madison commissioned this sprawling suburban church in 1946 and participated in its construction. As a means of reducing costs, Society members hauled tons of stone for the thick walls from a nearby quarry and later helped construct furnishings and finish the interior. 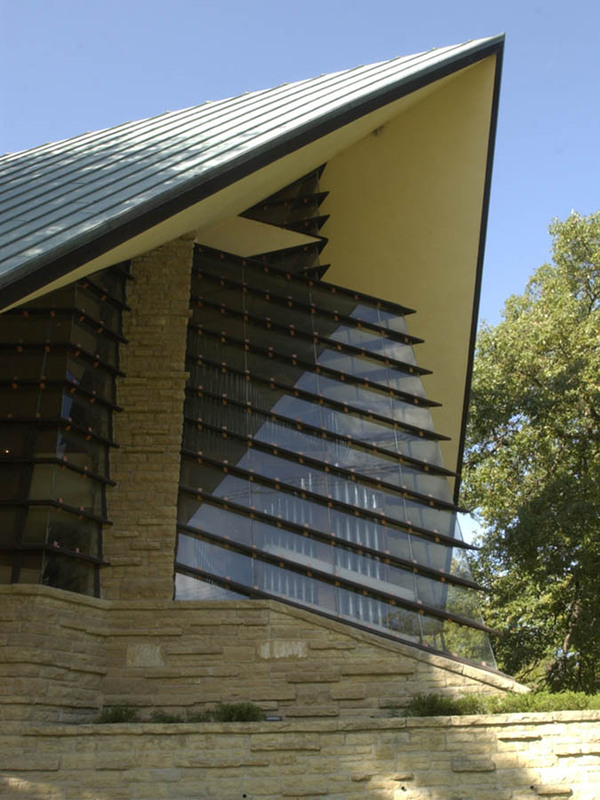 The original single-level building, constructed of native limestone, copper, and glass, features a multipurpose auditorium and adjoining social area and kitchen. A unique angular hall, one of the many examples of the triangle shape associated with the building and its furnishings, connects this area with offices, classrooms, and another social hall. 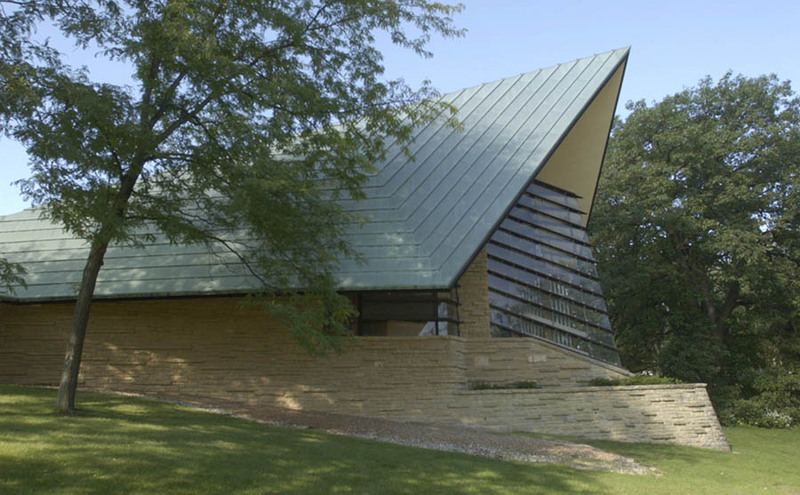 Two later additions were designed by Taliesin Associated Architects in 1964 and 1990. 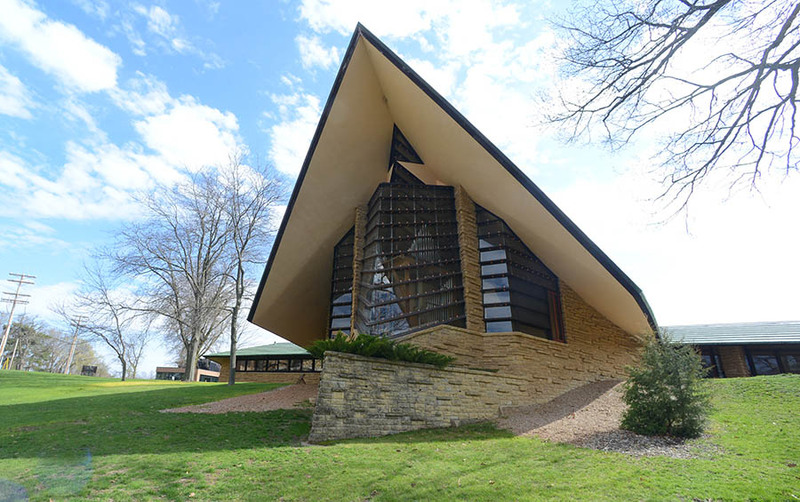 Visitors are always welcome at services held year-round on Sunday mornings at 9am and 11am and on Saturday afternoons at 4:30 pm, September through May. Access to the building is restricted during weddings and church related events. Building is closed the last week of July and the first week in August.